Dr. Johnson is a pediatric dental specialist. He loves working with children and makes every attempt to make the dental experience fun and entertaining. 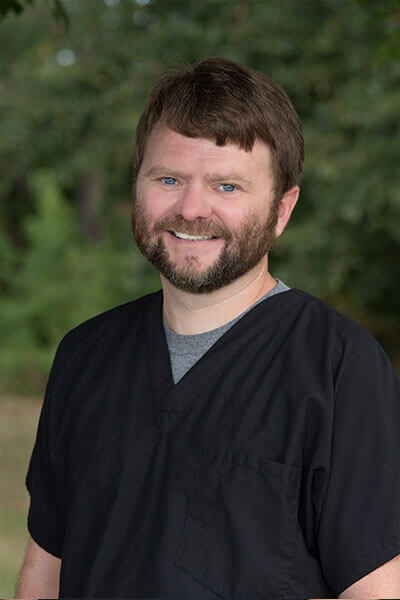 Dr. Johnson graduated from Alice Lloyd College in 1999 with a bachelor of science degree. He initially wanted to become a school teacher, yet developed an interest in the dental field while pursuing his undergraduate studies. Dr. Johnson attended the University of Kentucky College of Dentistry and graduated in 2003. After dental school, he worked as a public health dentist for a year and decided that he wanted to devote his career to the treatment of dental disease of children. Dr. Johnson then underwent a 2 year pediatric dental residency at the University of Florida College of Dentistry. Dr. Johnson and his lovely wife Nicole, are proud parents of two delightful children, William and Caroline. The Johnson’s reside in Pavo, Georgia.